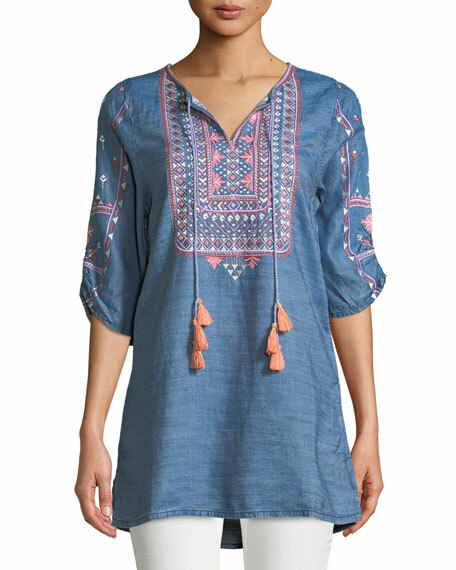 Tolani "Megha" tunic in embroidered chambray. Approx. 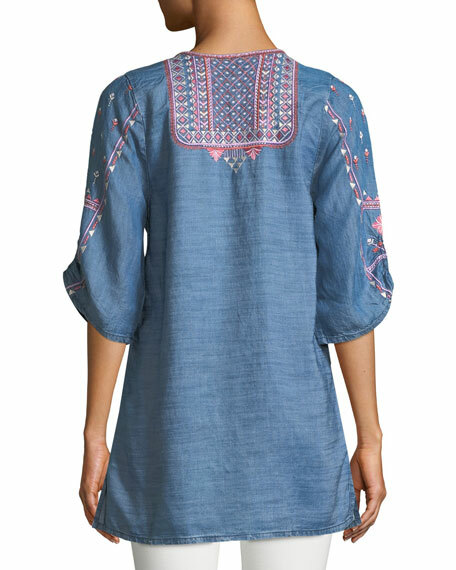 32"L from shoulder to hem (size M). Split neckline; beaded, tasseled self-ties may be styled open. Straight hem with 4" side slits. For in-store inquiries, use sku #2496730.